Classic mushroom-shaped knob in ceramic. This product will look good on your drawer fronts. Our 4.75 inch. White & Silver Chain Mail Drawer Pull features actual chain mail adding a inch.Westeros Chic inch. accent to your cabinets and/or favorite furniture. Includes 2 X 1 inch. mounting screws. Contemporary mushroom-shaped knob by Richelieu. Its simple discreet shape and smooth surface will give a refreshing touch to your furniture and dicor. This classic Richelieu knob in ceramic adds a traditional feel to cabinets and furniture. Bring a touch of the past to the present. 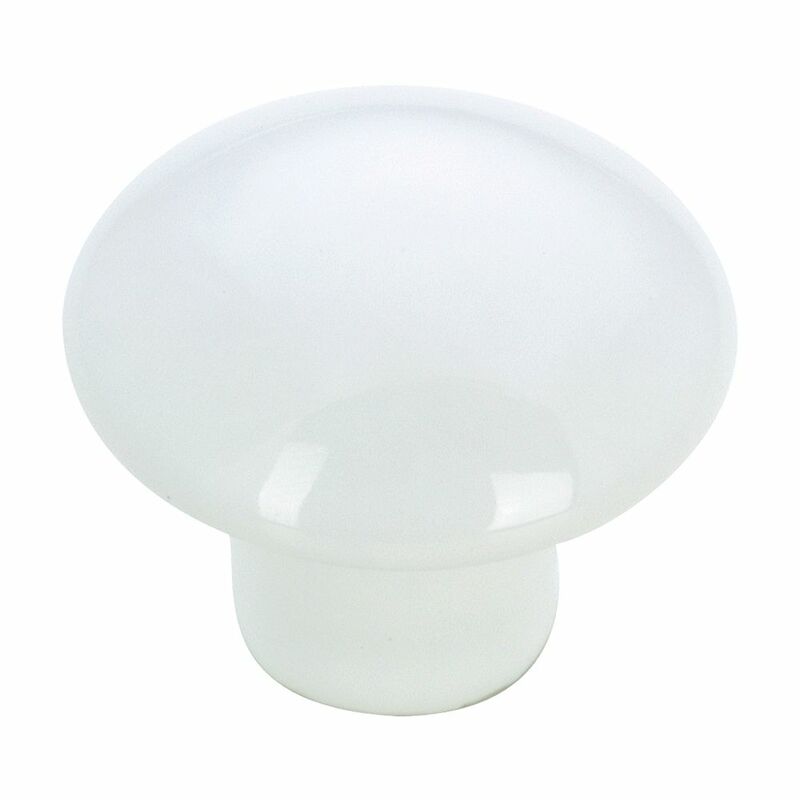 Eclectic Ceramic Knob 1 3/8 in (35 mm) Dia - White - Cherbourg Collection Classic mushroom-shaped knob in ceramic. This product will look good on your drawer fronts.